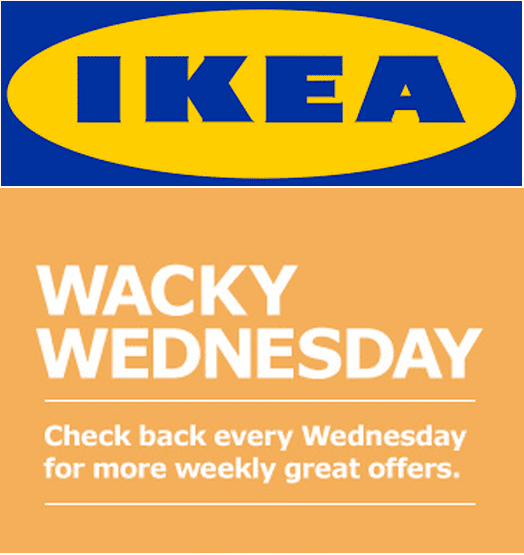 IKEA has a Wacky Wednes­day one day offers every Wednesday. Visit your local store every Wednes­day for more weekly great offers. The Ikea Wacky Wednesday offers are valid, Wednes­day, January 16, 2019. The IKEA Wacky Wednes­day offers to include a lot of sav­ings on many items. Enjoy 🙂 Have a lovely day!